Aside from some snazzy new decor, not much has changed, except now you order at the counter. 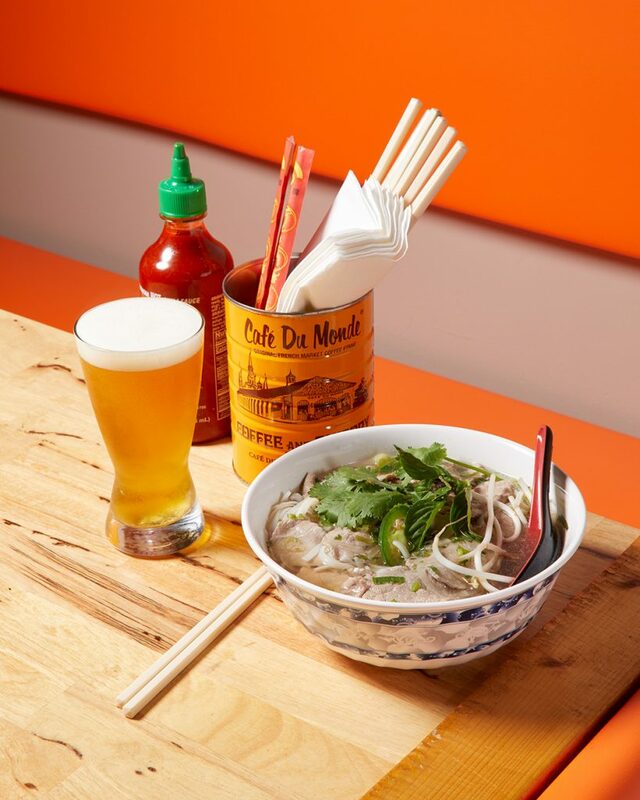 The signature pho with rice noodles has a robust beef broth, tender slices of beef, and distinct cilantro aromatics. Bummer for us—they were out of bean sprouts, and we missed them. The star was the sate with egg noodles: Its scallions superbly complemented the sizzling-hot chicken broth. (A word of advice: Brace yourself when going in with a spoon. The chili oil will cling to your throat so fast you won’t know what hit you.) Try the pork spring roll. It holds a generous portion of meat and stands up better to deep-frying, where the veggie roll nearly fell apart. Both were overly greasy. I was anxious to try the Vietnamese iced coffee, but much less so after I saw the hostess pour it from a fridge-stored to-go container into my glass. Cilantro clearly has some work to do in order to get back to the quality of its heyday, when Phan and company slung the soup at the original location across the street. But at least he’s back where he belongs.